Love this girls, blue soft stretch sun protective 'Nika' swimsuit by Molo for girls featuring the designer's cool blue swimming tigers print with a contrasting black and white striped back. In a sporty style, this high protection swimwear has thick straps with a racer back and has been rigorously tested to provide high Ultraviolet Protection Factor 40+, even after normal wear and tear. 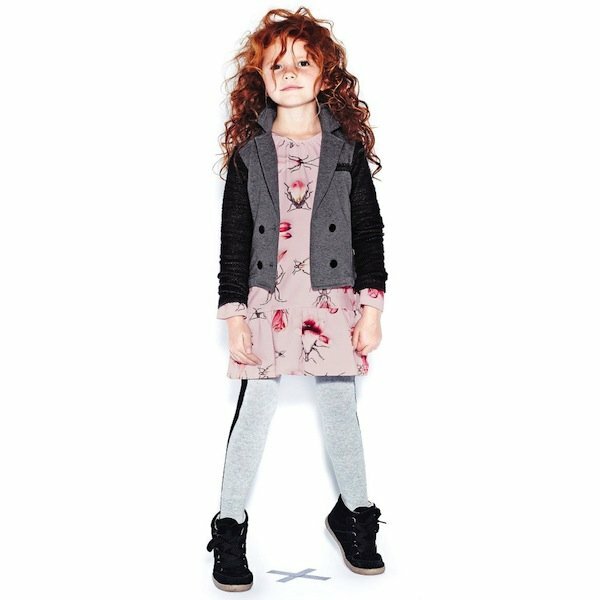 Adorable Summer Look for girls by famous Danish Kids Fashion House. Ships Worldwide.